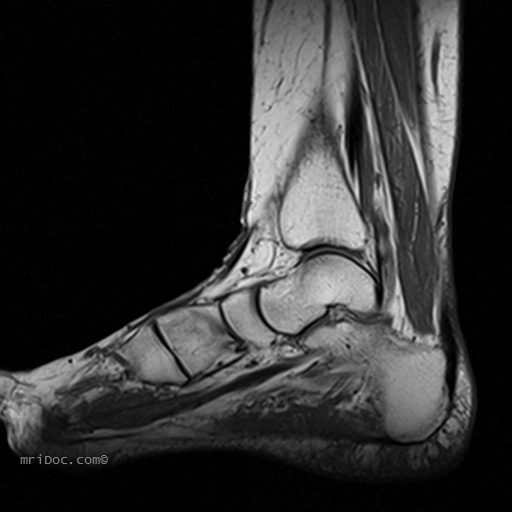 An accessory muscle is seen anterior to the achilles tendon. 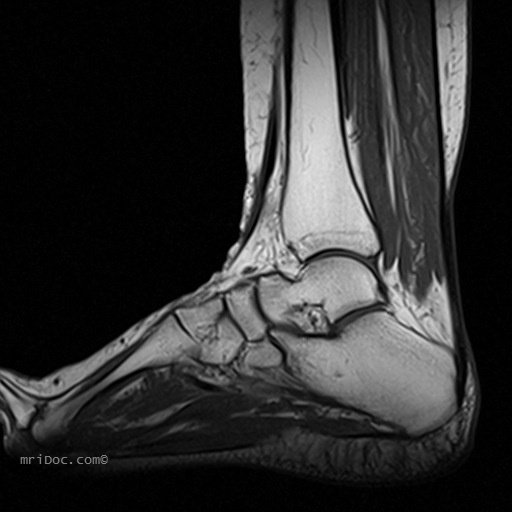 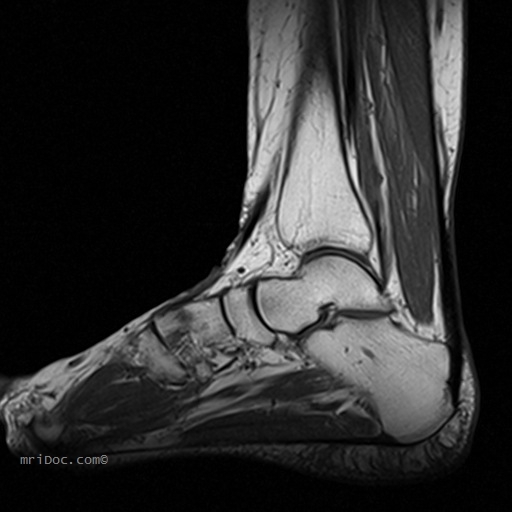 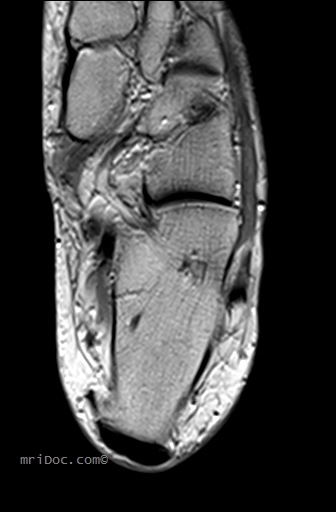 The tendon of the accessory soleus inserts slightly anterior and medial to the achilles tendon. 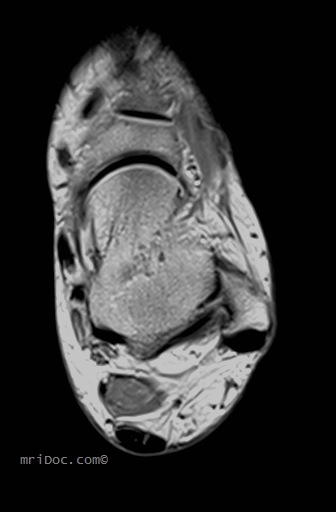 Diff Dx for masses in the preachilles space may include bursitis, ganglion cysts and tumors such as sarcomas, hemangiomas, and lipomas. 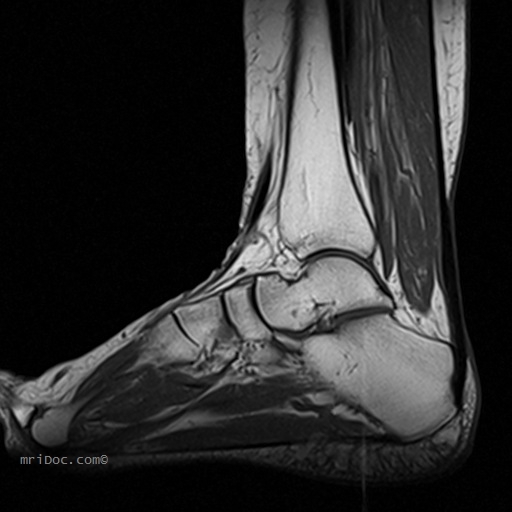 Abscesses have also been reported in this location.